Ten miles of trails ranging in elevation from 6,200 feet to 8,250 feet. From Kingman, take Hualapai Mountain Road (County Hwy 147) approximately 12 miles to 6250 Hualapai Mountain Road. Aspen Spring Trail offers ten miles of trails for hikers, mountain bikers and equestrians. The trail provides spectacular views of both the desert and mountain ranges. This Historic trail was constructed in the 1930's by the Civilian Conservation Corps. It passes through a variety of vegetative "life zones" including riprarian chapparel, pine/oak, mixed conifer and fir/aspen habitats. Part of the trail is from a converted abandoned mine which can be viewed from the trail. 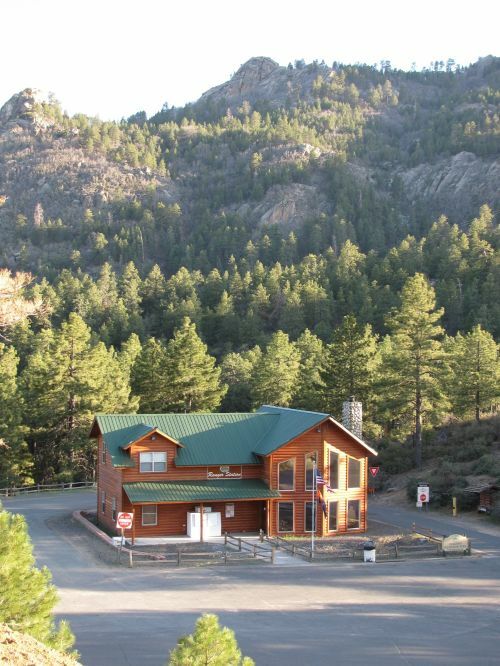 The trailhead is located in a wet canyon at 6,200 feet and ends on various mountain peaks at up to 8,250 feet. Past partners with this trail include the BLM, AZ State Parks, Youth Conservation Corps, Mohave Trails Association and the Boy Scouts of America.